There is a New Moon in your sign on Friday. This is an important Moon for Aries, especially those Aries people born between the 3rd and 7th of April, or who have 14-18º of Aries Rising. However, all Aries will resonate with this New Moon that dares us to set goals and initiatives for the future. It may seem that the goals you are facing, or have chosen for yourself are daunting and overwhelming. But rather than succumbing to fear or anxiety about the future, allow yourself to focus on the things immediately in front of you first. By placing one foot in front of the other you will eventually make your way forward. No one has quite the verve and courage of the warrior sign who dares to take on all comers. You’ve got this, even if you may question yourself at times. Jupiter stations retrograde next week, and in so doing, you are being asked to take another perspective. This may even mean stepping back from previously held ideas or even your view of the world. The key here is to some how broaden your understanding, and getting back to who you are, and what you want to stand for. This is a time of year in which we do some of our most important work concerning our own inner moral and spiritual development. Realigning yourself with your true path is key for this part of your journey. If you are finding that you simply cannot be as productive as you might like, sometimes it is best to just give in and let go. At least for now. You might find that you will feel a little more productive after Wednesday, when you will probably also figure out more practical ways to approach what had previously seemed a problem. It always helps to have some sort of strategy and a plan. You will however want to take advantage of the New Moon on Friday with initiatives to let go of those things that you no longer need in your life. This can include cleaning out those closets and drawers. But it is also about letting go of things, habits and even resentments that you’ve been holding on to. This Moon gives you permission and the courage to confront your past, and finally put old demons to rest. All the more so with the retrograde station of Jupiter. What you discover over the next several months, what is disclosed to you, could have such a profound impact on your psyche, that it will ultimately impact many of the decisions you make going forward. When Jupiter travels in the opposite sign from yours, as it is now, the opportunity to make more meaningful contacts with others becomes a closer possibility. As Jupiter is now stationing and entering its retrograde phase, a deeper appreciation for others can be further cultivated. If you have been feeling like you were needing to make choices, those choices may become a little more conflicted this week with this station. Things have been rather confusing lately, and it will be all you can do to sort things out. Just make sure that you have all the facts you need to make an informed decision, and if you are unclear about something, do the research, ask questions, uncover the truth. Don’t assume anything. The New Moon on Friday is an excellent time to make intentions. This is considered your wishing Moon, therefore dare to connect to those hopes and wishes that you would like to see realized this year. And if there are obstacles in the way, consider what you might be able to do to meet those challenges with courage and an open heart. The secret to living the life of your dreams is to start living the life of your dreams today, in every little way you possibly can. ~ Mike Dooley. The New Moon on Friday is our first step to finally feel as if we are emerging out of the malaise and confusion of the Mercury retrograde shadow. We are coming back out into the light. You can finally begin to plan ahead, but don’t expect to come out of the gates running. There are likely to be delays and obstacles to be navigated first. Rather than going full steam, just put one foot in front of the other. The rest will follow. Trying to push things too hard will only antagonize others. Nonetheless, New Moons are great for setting intentions, setting goals for yourself, and thinking of positive initiatives going forward. In the mean time the Jupiter station will have you reevaluating what you do on a daily basis in order to: 1) promote greater health and well being; 2) and make what you do (your work, your daily routines) more meaningful. One way of doing this is by easing up your schedule, and having more freedom to do those things that improve your life as well as your well-being. Dare to make the intention with the New Moon in Aries that all fears concerning initiating a new beginning or starting out on a new path, be lifted from you. May you be filled with the joy of self-discovery and exploration. By the same token you may want to explore what are those things standing in the way of you being able to embark on that new path that is calling from afar. If it is a health problem, do not ignore it; if you are exhausted and working yourself ragged, see if it is possible to reorganize your schedule and daily routines to be more accommodating. Jupiter in Sagittarius has been asking you to sing out loud and find your bliss. Now that Jupiter is entering its retrograde phase, it is even more important that you connect with what that bliss is for you. And the likelihood of having a more authentic relationship with others is increased as you feel more comfortable with yourself. This is why rediscovering your inner joy is all that much more important. Jupiter in Sagittarius has been bringing Virgo improvements in their personal life and at home. With Jupiter now entering its 4-month retrograde phase, allow yourself to pull back a little, and reassess the changes that have already been made, and think about what sorts of changes you might want to make in the future. If you want to unload some property this might be the time to do so, however, if you want to purchase, you will probably get a better deal after Jupiter is direct again in August. In the mean time focus on making your personal life and environment more stable and secure. There may be some confusion and conflict between your wishes and needs, and those of others, that may have you questioning that stability in house and home going forward. Things have been a little fuzzy lately, however you could receive some sort of confirmation this week that will help you to create a plan that you know everyone can live with. You may find it difficult to be productive and serviceable this week. Kind of like swimming against the tide, or being consumed by a malaise that has no rhyme or reason. At first it might make more sense to just go with the flow. You will then find it much easier to take control over the course of your daily activities by the middle of next week. In the mean time recognize that the more you try to control it, the more it will appear to get away from you. Make it a point to schedule in time for things like meditation, and/or mindfulness exercises that tend to spirit and soul, as well as the body. With Jupiter traveling in Sagittarius, in some way you have been asked to expand your mind as well as your perspective. But it is more likely that you will find your most revelatory moments in your immediate environment, and where you least expect it. Jupiter is stationing retrograde this week, and one of the issues with this station is to feel over-extended and perhaps a little frazzled. Tone down the activity if you can, and give yourself permission to just let go for a bit. The next several months could prove to be quite a learning experience, but you could miss the whole point if you are too busy and distracted. There seems to be such a sense of urgency these days. Pay attention to your intuition and what it is telling you, but don’t rush into things too quickly. The New Moon on Friday is about setting the intention to create new beginnings, but we will want to tread carefully with this Moon, placing one foot in front of the other. Some sort of strategy is being called for here in order to overcome and face any potential challenges and obstacles standing in your way. You may be wanting to reevaluate either your work situation, or perhaps a health concern. Or both. But everything comes in its own time as it should. Jupiter traveling in Sagittarius, should have brought some sort of promise for financial relief for Scorpio. But now that Jupiter will be retrograde you may find yourself needing to readjust your financial goals and plans. Try to keep your feet firmly planted on the ground, in order to face your financial future realistically. New beginning s are imminent, but for now it may be necessary to start with small changes first. With the Aries New Moon on Friday set the intention to have the courage and belief in yourself to follow your own path; daring to be your true self. This Moon is about discovering and acknowledging those things that truly make you happy and feel motivated. It is also recognizing those things that you don’t want to do, and what does not make you happy. One of the things to explore are what are those things that are standing in the way of your happiness, and what you can do to remove those obstacles. It’s about priorities. And one thing that may become apparent is that there are just some things that you cannot put a price tag on. Some things, such as loved ones, children, those things that make your life meaningful and enjoyable, and make your heart sing, that is where your focus is right now. Allow it to be so. Your ruling planet Jupiter is stationing this week in your sign, making it all that much more powerful. There is a reminder that that just because everyone always tells you that you should want a specific thing, that this is the path to happiness… it may not be what you want or need. Therefore knowing yourself is essential here. And that is part of your job over the next several months. Understand in your heart of hearts what it is that brings you true joy. There is a sense of urgency for many a Capricorn these days, as one phase of life seems to be ending and another beginning. In many ways it could feel as if your whole life is turning around. And the New Moon on Friday is bringing this impetus to take action, and to move forward. And it certainly is a Moon of action and initiative. But there are also some obstacles still standing in the way and needing to be worked around. Therefore, rather than rushing out of the gate, you are being asked to have some sort of plan and strategy going forward. Jupiter will be stationing next week. What you learn during the year that Jupiter is in Sagittarius is extremely important for your psychological and emotional well being. A great deal of healing and understanding can be achieved. Doing this inner psychological work can have huge ramifications later on. But in order to accomplish this, you are being asked to be present, open and honest with yourself. A bigger vision is going to be emerging at the end of this year. But in order to take advantage of that, you will want to release and heal old wounds. And that’s what these next several months will be especially good for. It may feel at times that so much is working against you from behind the scenes that you can’t win for losing. So it may be difficult to fully take advantage of the thrust of energy and initiative that the New Moon in Aries brings. But take heart. New beginnings are on the horizon, and it’s just a matter of time before you will be able to fully follow through. In the mean time, do set your intentions going forward, recognizing and respecting your current limitations. Big hopes for the future are arising, especially now that Jupiter is in Sagittarius. But not that Jupiter is stationing retrograde you may want to sit on your plans for now, and sort them out. There may be some very necessary details to be worked out first before you can proceed. You may indeed see a path unfolding before you, you just want to make sure that you are taking the correct path, and that you are totally in alignment with your vision for the future. In the mean time, slow down and take care of any necessary details as they arise. Ignoring them is not an option, and it will be a relief to get these small problems out of the way. 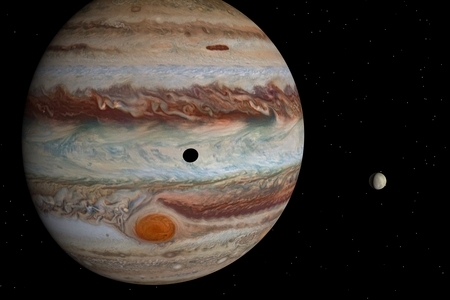 Your ruling planet Jupiter is slowing for its retrograde station next Wednesday. It may feel as if you are conflicted, or pulled in several directions at once trying to take care of all of your obligations and plans. Try to keep your focus on your immediate concerns in the present without getting too scattered or frazzled in the process. You may be required to set appropriate limits. If you don’t do so yourself, you may be forced to do so due to circumstances beyond your control. During the retrograde phase you may feel compelled to reevaluate and readdress your plans for the future. It may be that the promise of a big plan is emerging. But it also seems as if some very necessary things need to be sorted out first before you can proceed. And that’s what the next few months will be good for.. sorting all those things out. In the mean time, if you do have to make any plans, get all the information you need: check out schedules, create a plan, do the research. We are finally emerging out of the malaise of the Mercury shadow, and things will gradually be moving forward again. Just make sure you place one foot in front of the other going forward.